One of the most rewarding projects that our team here at Aquatic Design & Engineering (ADE) has been involved in just opened to international acclaim from news outlets all over the world. More importantly, for the children with special needs who have been able to experience it firsthand, it was received with joyful smiles and true happiness. 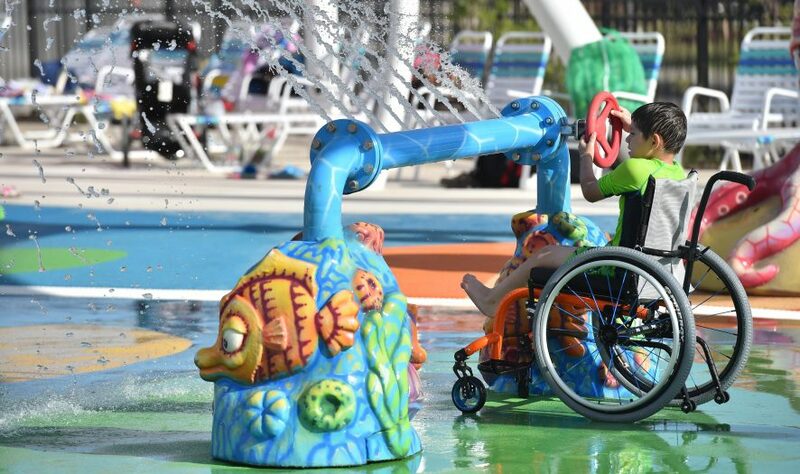 Located outside of San Antonio, Texas, Morgan’s Inspiration Island is considered the world’s first ultra-accessible splash park that welcomes guests of all ages and abilities. Built as an addition to the theme park focusing on special-needs individuals, Morgan’s Wonderland, the water park includes five water play areas engineered by ADE to be entirely inclusive, while also giving guests a uniquely fun and engaging experience playing with water. The five areas are all themed with a different tropical design, from a rainforest with water curtains streaming from the trees to a pirate ship with geysers and water cannons. Being a part of the consulting team who helped bring this inclusive park to reality has been an incredible honor, and we’re thrilled to see it open its doors—which it does free of charge to anyone with a special need. To learn more about Morgan’s Inspiration Island, you can visit www.morganswonderland.com/inspirationisland, or take a look at our project page.